Wushu Shaolin Entertainment is world renowned for producing Chinese Cultural showcases featuring the most creative cultural artisans in the industry. The team has performed in Saudi Arabia, Qatar, Dubai, and throughout the United States. Each show takes months of preparation combining music, dance, Wushu, Shaolin Kung Fu, and elaborate Chinese Cultural Costumes. In addition to producing spectacular presentations for Stage, Film, and Television, the company is world renowned for other services. 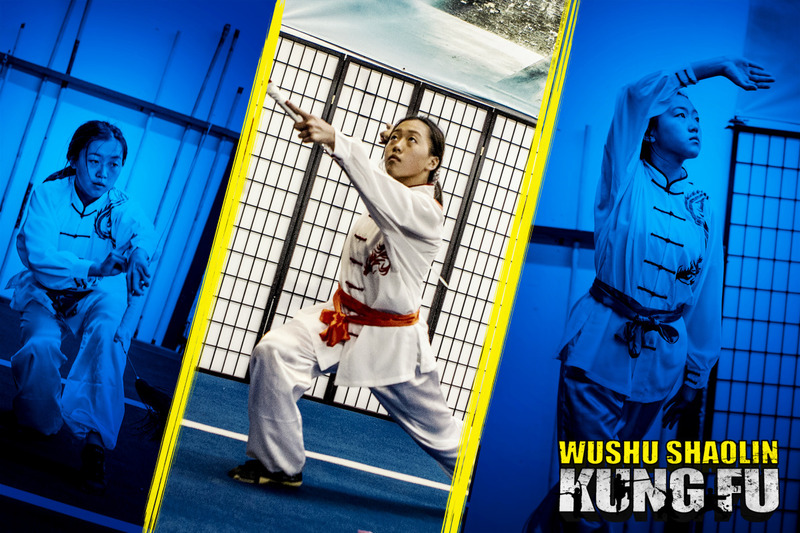 Wushu Shaolin Kung Fu also serves as a universal curriculum that provides practitioners with a survey of the most widely practiced forms of Chinese Martial Arts. The curriculum includes Shaolin Temple Kung Fu, Northern Shaolin Kung Fu, Modern Wushu, Tai Ji, Qi Gong, and combat arts. Students can earn an official Black Belt Level certificate in person or through the revolutionary Online Distance Education Course. After receiving an official Black Belt level certificate, students graduate from the program with an extensive education in Chinese Martial Arts. Black Belt level graduates can work as security guards, law enforcement police, military personal, and other rigorous industries that require trained martial artists. Others who receive certification in performing arts like Wushu, have enormous opportunity as entertainers, performers, stunt actors, and martial art actors. 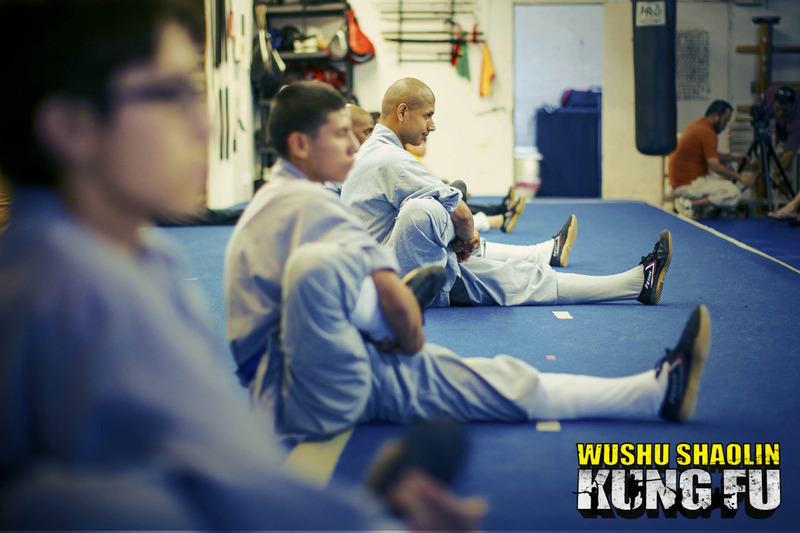 Depending on each individual, Wushu Shaolin Kung Fu provides students with the training to become successful throughout life. 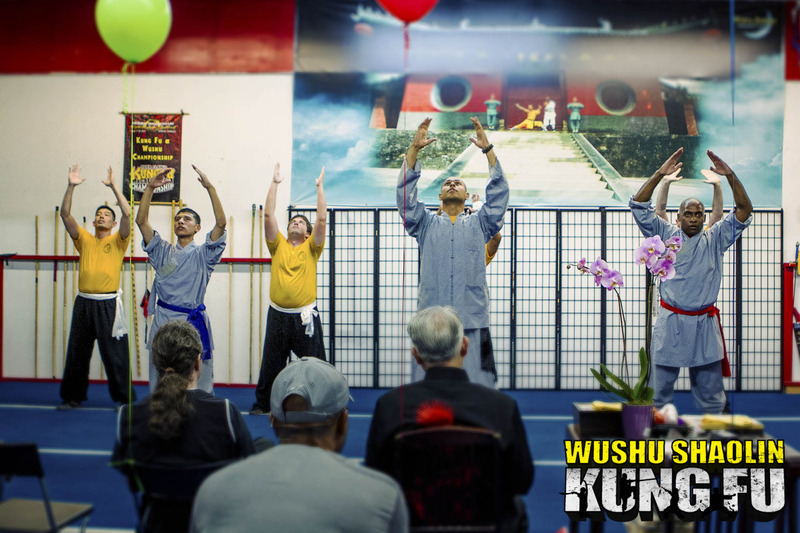 Wushu Shaolin Kung Fu is located in Hawthorne, California on the corner of Crenshaw Blvd and Rosecrans Ave. It is a spacious 2,000 Square feet Martial Arts Facility dedicated to Contemporary Wushu and Traditional Shaolin Kung Fu. The facility is equipped with a 800 square feet seamless martial arts floor used for throws, sparring. grappling, and combat sports. In addition, there is a 950 square feet gymnastics spring board floor system that completes the other half of the school. The mats allow students to both safely and properly progress when learning rolls, flips, gymnastics, wushu, and aerial tricks. 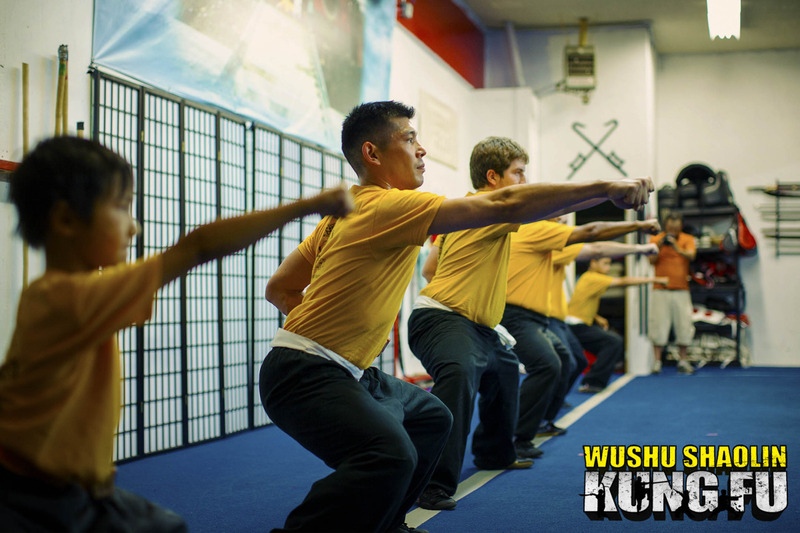 Wushu Shaolin is also equipped with kickboxing equipment, heavy bags, weapon racks, and a traditional Wing Chun Dummy. Wushu Shaolin Entertainment is a company established by Shifu Sal Redner, a leader and mentor in the international Wushu / Shaolin Kung Fu community. The company serves as a multimedia hub, inspiring enthusiasts from around the world and connecting everyone through rich interactive videos. Shifu Sal Redner works diligently to inspire the next generation of cultural artisans and Kung Fu practitioners. Shifu Sal Redner began studying Jeet Kun Do at the age of 8 in a local YMCA in San Pedro, California. After experimenting in various martial arts including Judo, Aikido, and Shotokan Karate, Shifu Sal began studying Tae Kwon Do and Tang So Do with Sensei Ruben Gonzalez. Upon receiving a 1st Degree Black Belt on January 8th 1999, he began studying Traditional Shaolin Kung Fu under Shifu Manuel Marquez. 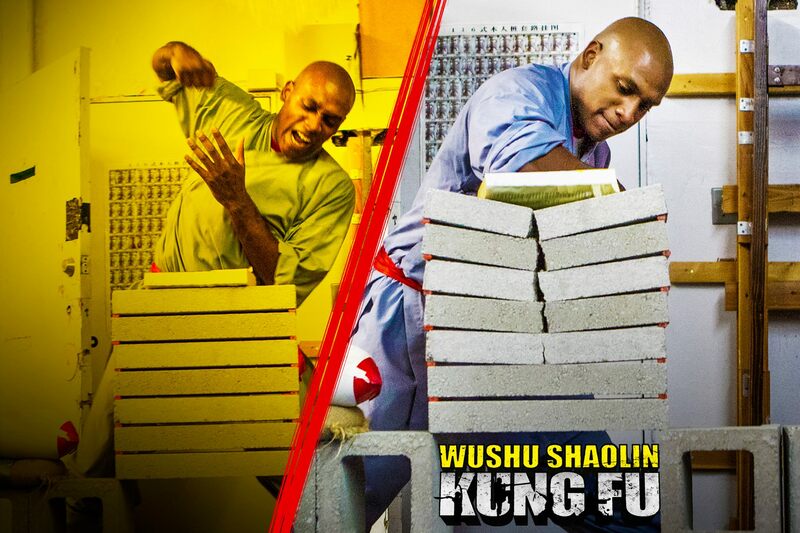 During a period of 6 years, he studied with numerous Northern Shaolin Kung Fu Shifu’s and Wushu Coaches in L.A. and was titled Grand National Champion in 2002 after defeating many competitors in numerous divisions at the Los Angeles Convention Center. In 2004, Shifu Sal Redner began traveling across the globe to the birthplace of Martial Arts to study Wushu in Beijing and Shaolin Kung Fu in Deng Feng, China near the Shaolin Temple. During repeated pilgrimages to the Shaolin Temple, Shifu Sal developed friendships with various Shaolin Monks. After being instroduced to Shifu Hu Zheng Sheng he was accepted as a private disciple. 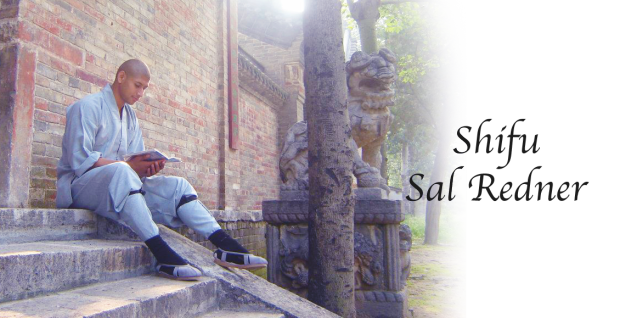 Shifu Sal now travels to China annualy to visit Shifu Hu and continue learning the traditional Shaolin Arts. In 2010, he was accepted as a private disciple of Shifu Scott Jensen of the 10,000 Victories Kung Fu School in Northern California. 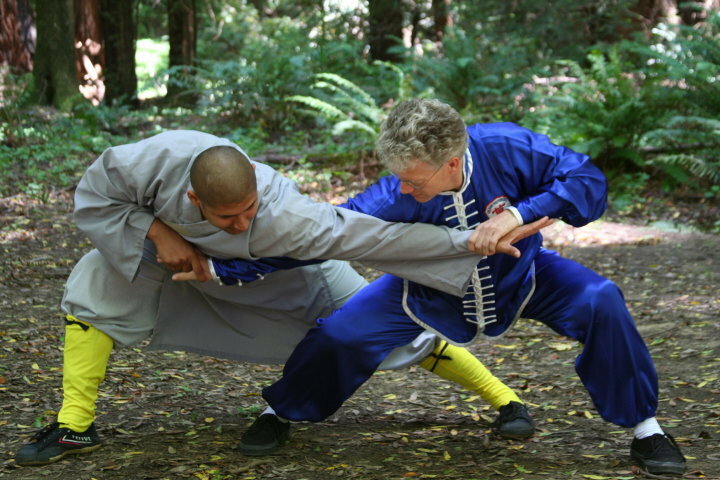 After studying with Wong Jack man for nearly three decades, Sifu Scott Jensen has acquired a clear and concise understanding of the 10 Core Northern Shaolin sets. The Wushu Shaolin Kung Fu curriculum is an extensive survey of both modern and traditional styles of Kung Fu also referred to as Wushu. Students begin without a belt and must work diligently to earn one. Wushu 武术, which is synonymous for Kung Fu, is the modern sport popularized by Jet Li 李连杰. The competitive sport is divided into two primary categories, Taolu 套路 and San Shou 散手. 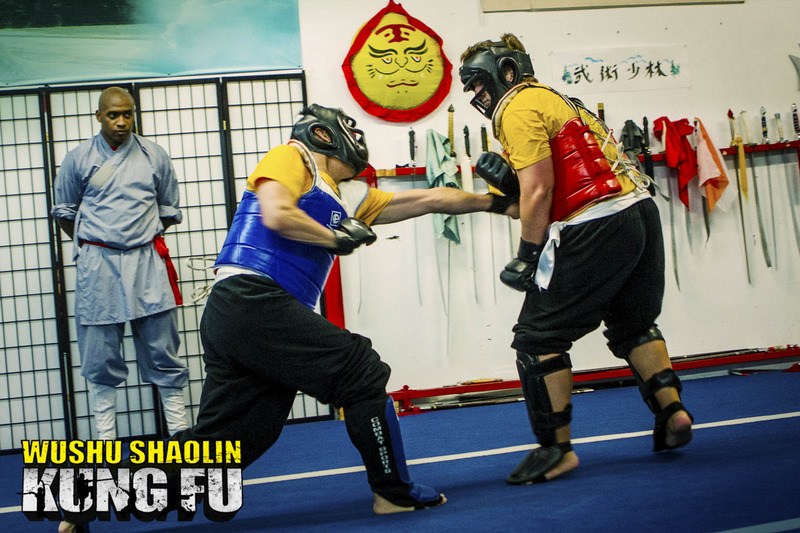 Taolu are the unique hand and weapon routines derived from traditional Shaolin Kung Fu while San Shou is the Chinese version of MMA or Mixed Martial Arts. The International Wushu Federation has standardized the various TaoLu routines into three primary categories; ChangQuan 长拳, NanQuan 南拳, &Tai Ji Quan 太极拳. Modern Wushu Chang Quan or “Long Fist” is divided into 4 primary levels which include Chu ji Chang Quan 初级长拳, Zhong ji Chang Quan 中级长拳, Gao ji Chang Quan 高级长拳, and Guo Ji Chang Quan 国际长拳. In addition, there are four fully recognized weapon divisions that include the Staff 棍, Broadsword 刀, Straight-sword 剑,Spear 枪. Modern Wushu NanQuan 南拳 is devided into 3 primary levels which include Chuji Nan Quan 南拳, Zhongji Nan Quan南拳, and Gaoji Nan Quan 南拳. There are also two primary south weapons such as Nan Gun南棍 & Nan Dao南刀. Wushu Shaolin Kung Fu students must memorize all of the compulsory routines in order to receive a Black Belt in South style Wushu. Tai Ji Quan is world renowned for its healing abilities. It is an ancient exercise that encourages proper breathing and body posture. There are five predominant Tai Ji styles that include the Yang, Chen, Hao, Wu, and Sun. The most famous and widely practiced style of Tai Ji Quan is the Yang family style. The International Wushu Federation recognizes the 42 YangPosture Tai Ji Quan as an official division in competition Wushu. Another popular practice is called Qi Gong. Qi Gong is a set of meditative breathing tichniques that strengthen the internal organs and produce a mystical energy called Qi. This internal energy can be used to help eliminate illnesses such as colds, flues, and even cancer. It is also used by martial artist during combat to defeat an opponent. Although it is rather difficult to comprehend, many theorist describe Qi as simply natural energy inherent in all living creatures. San Shou, also known as Sanda, is the combative sport of Kung Fu which incorporates punches, kicks, throws, take downs, and in some cases grappling. Sanda is the Chinese version of MMA that dates back to the ancient history of Shuai Jiao. In Sanda, there are strict rules and regulations that each participant must acknowledge and abide by. A fighter can defeat an opponent through points, referee decision, or technical knockout. Shuai Jiao which derived more than 4,000 years ago in China is the art of uprooting an opponent to the ground by utilizing numerous takedowns. Many Japanese styles including Jiu Jitsu,Judo, & Aikido all share a common lineage that can be traced to the ancient art of Shui Jiao. Today, Shui Jiao is interlinked with all fighting systems and take downs are utilized by nearly every Martial Art in the world. Women’s Self Defense: Instead of learning forms or routines like traditional Kung Fu students, women are immersed with valuable fighting techniques suitable for self defense. The goal is to develop awareness about the environment and vital human weaknesses inherent in each individual.